A basic, 6-ingredient recipe with a taste that’s anything but BASIC.  Anne’s Drop Butter Wafers are the perfect treat for any occasion– formal or casual. Watch as Anne herself takes you step by step through cooking up some wafers of your own. Dumplings don’t just make a wholesome meal… they make even better dessert! Just take out frozen dumplings, cut ’em in squares, fry ’em up, and roll them in the sweet confection of your choice for a fast treat that’s easy and delicious to boot! 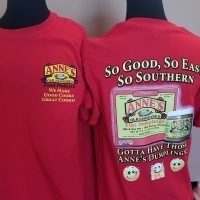 We’ll even show you how to make “Pie in a Dish” with Anne’s Dumplings! A cake-like brownie, so tasty you will have to hide the plate. Made so moist with grated sweet potato. Yum, Yum! Make a delicious treat for summer or any time of the year with Maridell’s Fruit Cobbler! 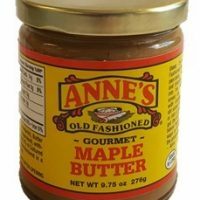 With sweet, succulent berries and the homemade taste of Anne’s Dumplings, this dessert is sure to please! 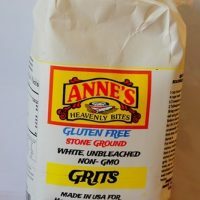 You’ve not tasted bread pudding until you try this recipe– submitted by one of our adoring fans and featured in Anne’s very own cookbook Dumplings ‘N More, we’ve tried it out and given it the seal of approval! But don’t take our word for it, try it for yourself! Thought you had the best bread pudding ever, well, try this one. It will knock your socks off and it also won a blue ribbon in the sweet potato recipe contest. A surprise ingredient in this tasty dessert–mashed sweet potatoes–makes this fudge a real winner. For real, this won a blue ribbon at the Sweet Potato Festival this year.